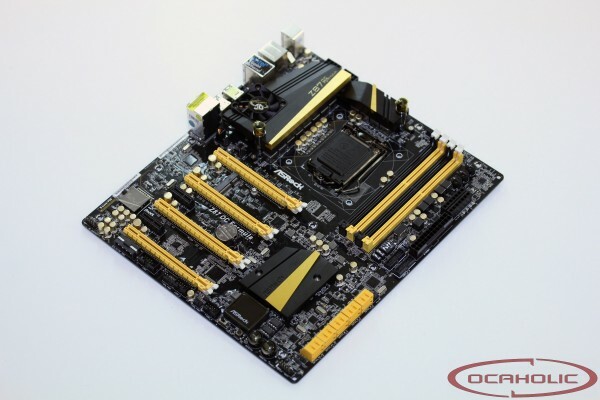 The Z87 OC Formula is ASRock's new high-end motherboard regarding overclocking. Additionally there is a beefed up audio solution with a decent headphone amp, which makes this board more appealing to gamers too. There is even the possibility to integrate the chipset into a watercooling loop, which is certainly great for modding. Overall, it looks like ASRock is trying to kill several birds with one stone. Are they going to succeed? The Z87 OC Formula is ASRock's high-end overclocking motherboard regarding Intels latest Z87 chipset. Therefore we're really curious what they've come up with and how it will do in our review.